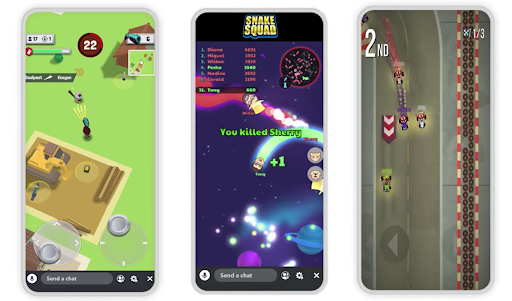 Snapchat debuted a gaming platform that allows you to challenge your friends to real-time, multiplayer games directly in the app. They announced the new feature this week at their first branded press event, Snap Partner Summit in Los Angeles. Based on their acquisition of the gaming platform “PrettyGreat” in 2017, many have speculated that Snapchat had been working to add gaming functionality to their feature set. They recently added interactive mini “games” using their augmented reality filter lenses, but there hasn’t been a true “gaming” platform until now. The addition of gaming to Snapchat appears to be another attempt by the platform to increase user engagement and time spent on the app. Over the past year, they added exclusive series, coverage of major events, and more – so adding games in the mix seems like the next logical step. One of the games that have many users (i.e., me) excited is the Bitmoji Party game. It is very similar to the well-loved Mario Party game – where a group of up to 7 users competes in a series of games, all in which have different challenges. You can also have up to 24 friends speculate and rotate in, similar to if you were playing at a real-life get-together. Early reports of Bitmoji Party show that it seems to mirror the best aspects of Mario Party, while also adding in the fun personalization of playing with each user’s customized Bitmoji. 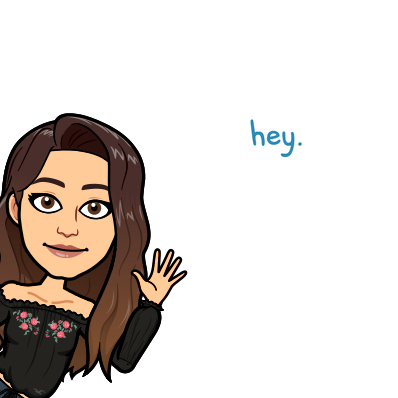 For those that don’t know, a Bitmoji is an animated character designed to look like the user. This is a great addition because it will likely attract Snapchat’s older user base that remembers playing this game, as well as newer, younger users. Like SnapChat’s other content, advertisers will have the option to display ads in the new gaming feature. Just like current ads, gaming ads will largely be six seconds, unskippable video commercials. However, they’ve changed up their approach slightly for game-specific ads. Ads in the Snapchat games can be used for users to gain rewards like power-ups, or bonus in-game currency. This provides incentives for users to watch more ads to gain a competitive edge over the other players. This tactic is widely used in other app games, so it has a good likelihood to generate success for advertisers and gain more ad revenue for Snapchat. Because users can opt-in to watching advertisements to gain these rewards, its a great opportunity for advertisers who are targeting younger demographics to reach these audiences. In other words, if you’re marketing to this age group, testing out ads on Snapchat games might bring a greater ROI than other platforms. Will This Help Snapchat Stay In The Game? It’s clear Snapchat is testing out tactics that will boost time spent on the platform to combat their slowing user growth. While it’s too early to tell if this will have the effect they’re looking for, it is a very on-brand decision based on their demographic. Games where you can challenge friends in real-time have always been popular, (see Fortnite, for example) but trending games rise and fall so frequently it’s hard to stay on top of them. Snapchat provides these interactive games on a platform users already regularly go to, so it’s easy to get your friends on-board with playing. As long as Snapchat consistently produces new content so the current games don’t get stale, this has the potential to do well.